Helquist, Brett. Very Good. 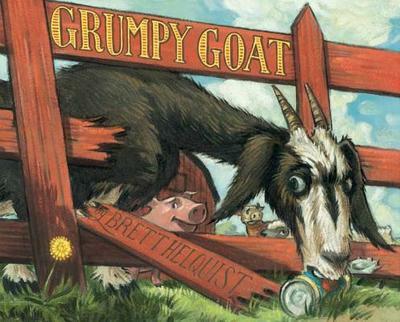 Goat is the grumpiest animal at Sunny Acres farm until he remembers that there is more to life than eating and being alone. Picture book. Sewn binding. Paper over boards. With dust jacket. 40 p. Contains: Illustrations, color. Intended for a juvenile audience. Very Good. 006113953X Minor shelf wear. Helquist, Brett. New. Picture book. Sewn binding. Paper over boards. With dust jacket. 40 p. Contains: Illustrations, color. Intended for a juvenile audience. Helquist, Brett. New. Picture book. Sewn binding. Paper over boards. With dust jacket. 40 p. Contains: Illustrations, color. Intended for a juvenile audience. In Stock. 100% Money Back Guarantee. Brand New, Perfect Condition, allow 4-14 business days for standard shipping. To Alaska, Hawaii, U.S. protectorate, P.O. box, and APO/FPO addresses allow 4-28 business days for Standard shipping. No expedited shipping. All orders placed with expedited shipping will be cancelled. Over 3, 000, 000 happy customers.